Skipping ahead a little, working on the base slab and Maple solids so they will have time to move and cup and warp while the cabinet work continues. The slab will get worked on once a week for the next 3 weeks, hopefully it’ll stabilize enough by then for the final cutting. 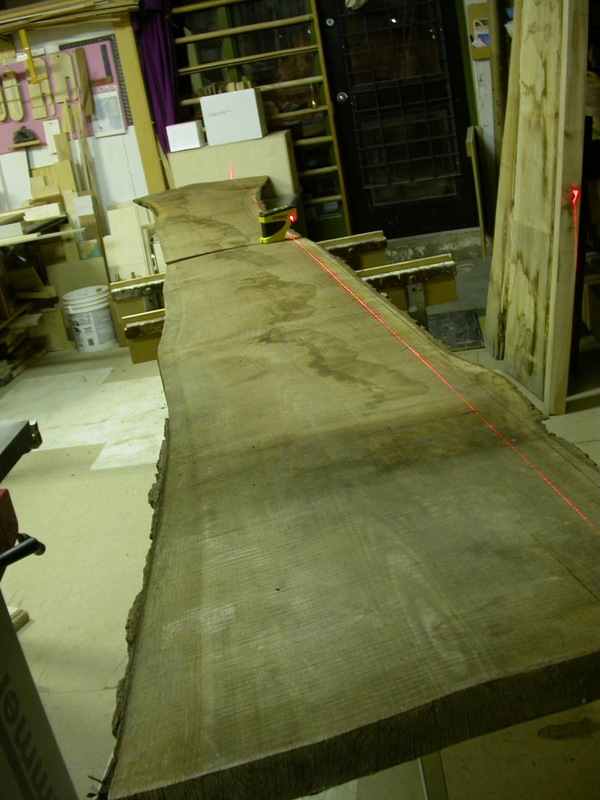 The slab is 9/4 Black Walnut from West Montrose, starting out at 5 meters by up to 725 mm in width (16′ x 29″). 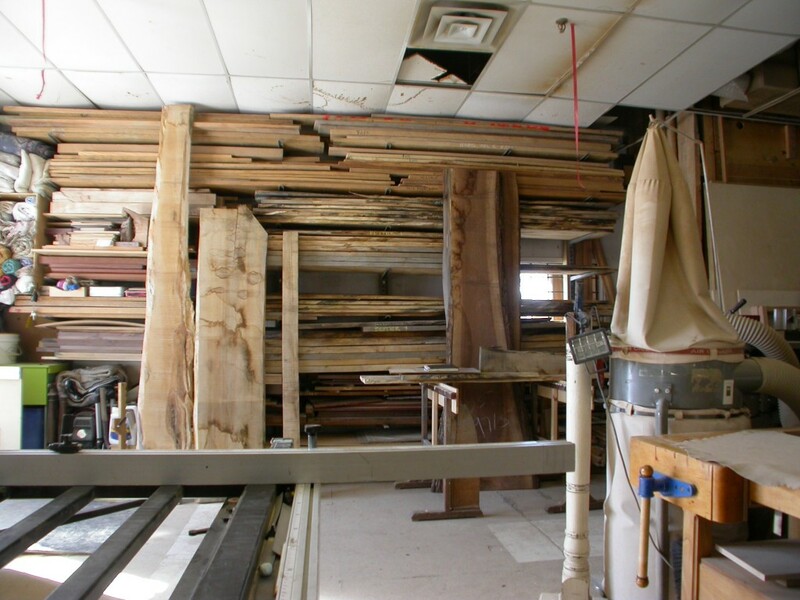 1st photo shows some of the Maple on the left, the Walnut on the right. Yes the 16′ has been crosscut into two 8’s, it’s the only way to get this one flat enough over the whole length required, while retaining enough thickness. 2nd photo shows the slab layout lines being marked.